SPA Studio s.r.o. Praha has repeatedly attended European Wellness and Spa Fair in Piscine Global Europe Lyon in France. 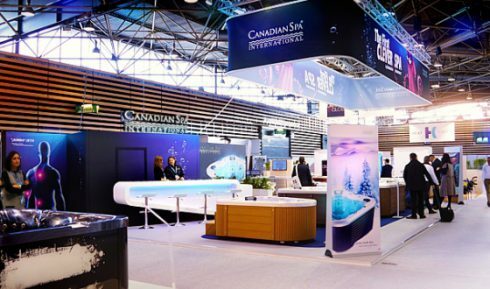 This greatest international exhibition was held from 15.11. to 18.11.2016 and attendants of our stall could see the most favorite spa models of the company Canadian Spa International®. This exhibition appealed to all attendants. The greatest allurement appeared to be four most favorite spa models of Canadian Spa International® and also newly presented unique system and way of coating. The attendants were guided through the whole fair by our representatives who were professionally introducing the spa models. Thanks to the success of another exhibition of SPA Studio s.r.o. Czech republic Prague more customers are becoming happy owners of spas even outside our country.